Gregory Smith starts the book by explaining the basics in health and safety industry. 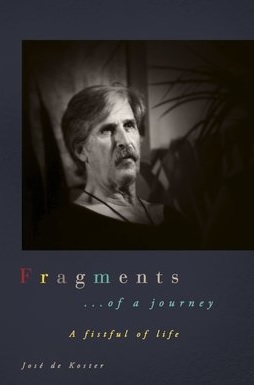 Reading through the pages, one gets to understand why the author had to write this book. In his book, Gregory Smith clearly explains the difference between trivial health and safety rules, and bureaucracy. On the former, he explains that rules may be trivial, but would have a link to their purpose more often than not. The rule acts as a handrail so you may not fall down the stairs. In essence, the rule and purpose are connected. On bureaucracy, the author noted that the challenge comes because it has lost its connection with purpose. Though both bureaucracy and trivial health and safety requirements are somehow attached, the author insists that doing away with trivial health and safety requirements in the workplace does not certainly make health and safety less bureaucratic; it may not automatically display a clearer image of health and safety. The author‘s use of real-life examples when expounding on topics was a big plus. As a reader, I sometimes fail to immediately understand the terminologies used in the text. I fully get the concept when the author uses examples which I can relate to. In my opinion, The Safety Paradox was the most interesting topic in the book. The author started off by explaining the two triumphing mindsets. I enjoyed reading about the “more is better” philosophy, that sometimes multi-day inductions are better than a short 20-minute summary of key points vis a vis the second mindset which suggests that things done in the name of health and safety will essentially produce good health and safety outcomes. The author gave his stand either at the end and or between all discussions. On this particular one, he opined that neither of the two propositions was right. To say that Paper Safe: The triumph of bureaucracy in safety management is a spring of knowledge would be an understatement. This book has tons of information relating to safety management, that I believe people in related fields should keep it on their desks for everyday reference. Apart from the amazing explanations in the book, one gets to be introduced to new words. The author’s vocabulary is vast. He has a great diction and he is talented when it comes to interpreting distinct terms. Each chapter is well written for the reader to grasp the content of the book. One learns a lot from the introduction to the final thoughts. 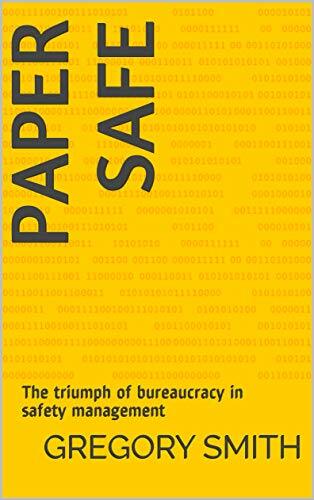 Reading Paper Safe: The triumph of bureaucracy in safety management will definitely expand your mind. Apart from the general information about safety management and reporting, workplace tools, bureaucracy, auditing, and accreditation, one feels like they are getting schooled as they read on. Posted on November 9, 2018, in Book Reviews, Four Stars and tagged alibris, author, author life, authors, barnes and noble, behavior, book, book club, book geek, book lover, bookaholic, bookbaby, bookblogger, bookbub, bookhaul, bookhub, bookish, bookreads, books of instagram, booksbooksbooks, bookshelf, bookstagram, bookstagramer, bookwitty, bookworks, bookworm, bureaucracy, culture, ebook, education, goodreads, gregory smith, ilovebooks, indiebooks, kindle, kobo, leadership, literature, management, nonfiction, nook, novel, organization, paper safe, publishing, read, reader, reading, safety, shelfari, smashwords, story, The triumph of bureaucracy in safety management, workplace, writer, writer community, writing. Bookmark the permalink. Leave a comment.